Its time to fight crime Hand out Batman Wristbands at the birthday party so everyone can be part of the Batman squad. 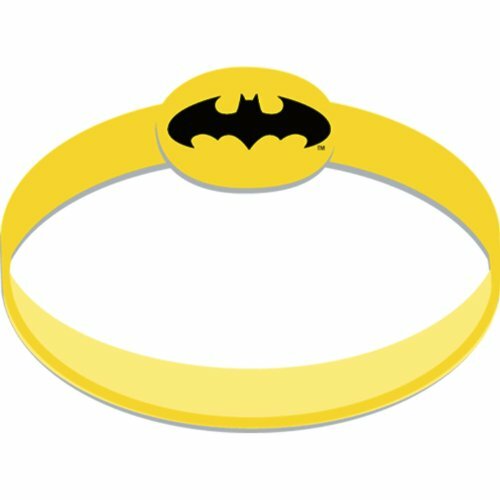 Bright yellow wristbands feature the Batman logo printed in black. Rubber silicone wristbands are stretchy for a comfortable, safe fit for superheroes young and old. Each band measures 12in wide, with a 2 12in diameter. Package includes 4 Batman Wristbands.